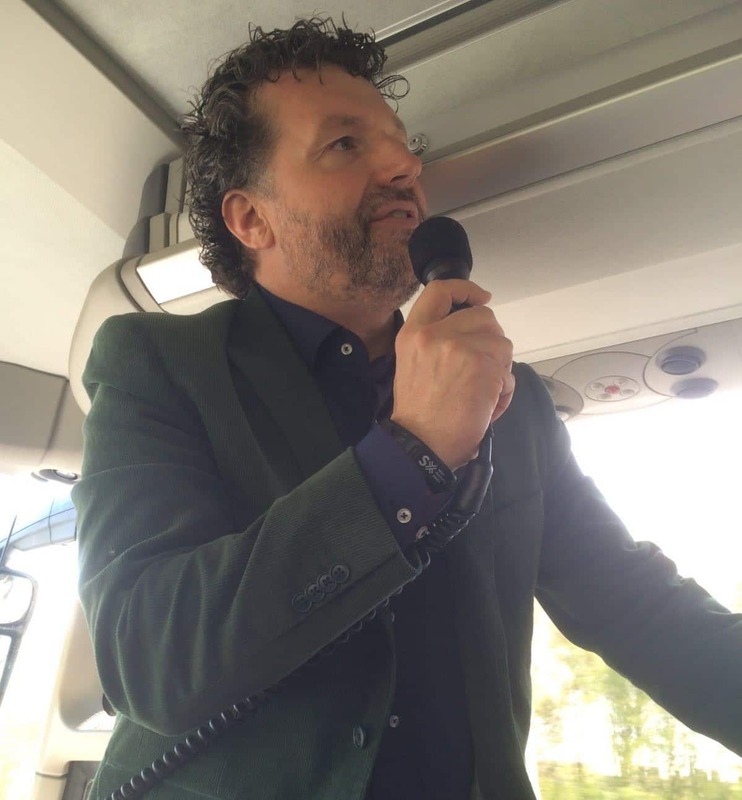 Onze directeur Jeroen Veldkamp is uitgenodigd door BrabantDC om een inspirerende speech te geven voor een internationale delegatie van het ‘Districts of Creativity Network’. Het ‘Districts of Creativity Network’ verenigt 13 creatieve en innovatieve regio’s van over de hele wereld met elkaar! BrabantDC is een van deze 13 meest creatieve regio’s en is deze week de host van de Reverse Mission. 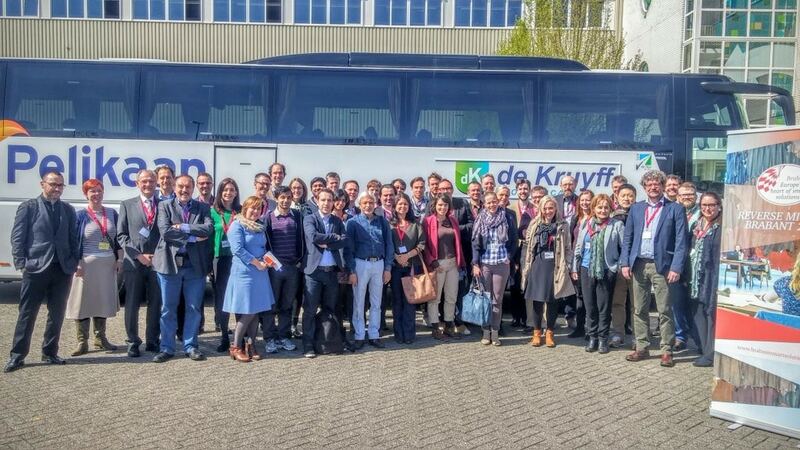 Tijdens de Reverse Mission bezoeken 50 experts en entrepreneurs uit alle 13 districten een van de regio’s voor een inspirerende reis die de creativiteit en innovatie van deze regio laat zien. De speech van Jeroen werd gegeven tijdens de busreis van De Ontdekfabriek op Strijp S, creatief hart van Eindhoven naar Hutten in Veghel. 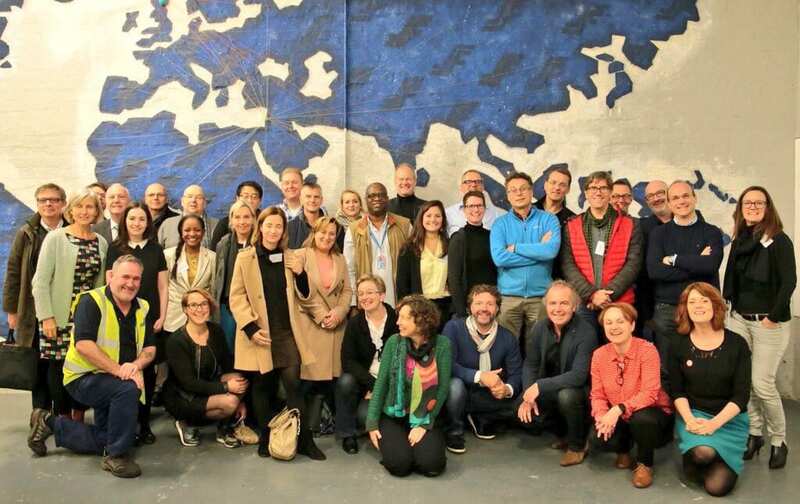 De internationale gasten waren erg enthousiast over de presentatie en de bijzondere manier van presenteren tijdens de busreis. Daarom willen we de presentatie graag met jullie delen (speech is in het engels). I am Jeroen Veldkamp, 45 years old, entrepreneur in the creative industry & early adopter of BrabantDC. I live in Nuenen a small village near Eindhoven. Nuenen is also called Van Gogh Village Nuenen, because the world famous painter Vincent van Gogh lived there (1883 – 1885). He painted his first masterpiece in Nuenen: The Potato Eaters (in dutch: De aardappeleters). Still 23 locations in Nuenen are exactly as they were in the time Van Gogh lived here. Of these locations, 14 were painted by Van Gogh. Therefore you can literally stand in the paintings of Van Gogh when you visit Nuenen. You can’t get closer to him anywhere else. I’m an entrepreneur for over 20 years in the creative industry, by the dutch government labelled as one of the 9 top sectors & one of the biggest growing sectors of the dutch economy. My company creates, produces and distributes high-end video productions for companies, governments and healthcares in the Netherlands and also abroad. I’d like to share with you some insights about online video. The Huffington Post, Social Times, Media Post & other Marketing & Communication press announced that in 2016 online video will be the gamechanger and disrupter in communication & marketing for brands and organisations. We’ve produced a short clip ‘The Power of Video’, to tell the effectiveness of using video in online communication nowadays. As I said, I’m one of the early adopters of BrabantDC. I believe that inspiration and the best solutions for daily challenges aren’t written on the ceiling. They aren’t found in brainstorms, discussions within your own team or ‘the usual suspects of advisors’ around any organisation or sector. I believe ‘inside’ is not the best place to look for idea’s and solutions. I do not know, what I do not know. That’s my start of always being curious, open minded, interested. Because I’m not that arrogant to think that my daily challenges are unique. I believe that somebody, somewhere already solved my challenges or has an answer. Maybe for different reasons and in different circumstances or context. Maybe they don’t even know it themselves! Therefore I need an open view and sometimes a lot of creativity to get answers and to get inspired. This is for me the core of ‘The Districts of Creativity Network’ and of course to inspire and help others within the network. All of my inspirations and ideas I got from BrabantDC and the Districts of Creativity Network during my trips to Lombardia, Flanders, Oklahoma and Scotland I use in my daily work to inspire my team and my clients. Even when a client cancelled a big online video campaign, I could convince them, full of energy & inspiration out of the Reverse Mission in Oklahoma, to give us the assignment. It was our biggest assignment in 2015 and it was for our client a very successful campaign. So my compliments to all of you, to get out of your usual environment and be inspired in Brabant by someone or something you couldn’t imagine before. Learn and enjoy! Thanks for your attention!